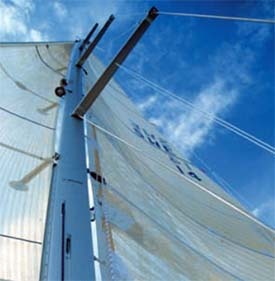 Spar and Mast Maintenance for tuning, tensioning, rigging, safe inspection and more are all important ingredients of a mast lifetime use. Please see the PDF's below for in depth information. Yearly rigging surveys are required. N&U utilizes the USCG as well as Lloyds Register guidelines in all of our surveys.